I have been sticking to my iPhone 4S since 2011, and to be honest, it's the best smartphone I had ever used both in quality and functionality. But the device runs pretty slow and even lags when opening certain apps when upgraded to iOS 8.1.2. Then I know it is the right time for a new smartphone. I went to Verizon's retail store the other day and took sometime playing with a few remarkable smartphones including iPhone 6, Xperia Z3 Compact. This shocks me as much as it may shock those that know me, but my top pick from the list is the Sony Xperia Z3 Compact — a phone that doesn't run "unmodified" Android. It squeezes out a win over the others because of one thing — possibly the best thing any OEM has done in 2014 — it's a smaller device with full-size internals and performance. Now it comes to a problem that how can move the content and files from iPhone to Xperia Z3 Compact, it seems a challenging task as they are totally built on different mobile OS. I tried a couple of free apps but one of them can do the full job for me. Most are functional limited from my understanding. 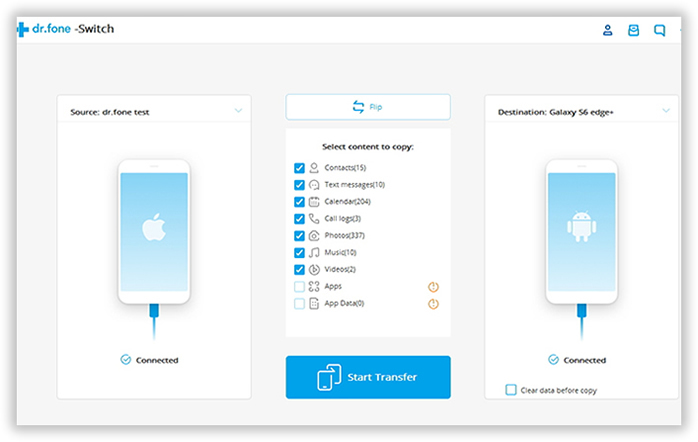 Finally got a powerful tool from my friend's recommendation, called Phone-to-Phone Transfer. You can download the customized version of the software through above download links. Then install the program on your computer by following the built-in wizard, just like other software installation goes. After installation, open it and the main screen shown like this. As you see the primary window of this program, the program has added some new features in the last updates; just select an appropriate mode to achieve your goal. It should be noted that you need to install iTunes on your computer when moving contacts from iPhone to Android, If not, this program will remind you of installing it. In this tutorial, just selet "Switch" mode and "Next". Plug iPhone and Android phone to a computer via USB cable. Please make sure USB driver is installed for both devices in order to proceed to the next step. The program will automatically detect the devices once well attached. After that, it will start the scanning process to find out data stored on both devices. Note: In this case, the source phone should be iPhone and destination phone should be Android phone. The program lists all of the data in the center of the main screen after scanning. Check Contact option and uncheck other items if you were going to transfer contacts only. 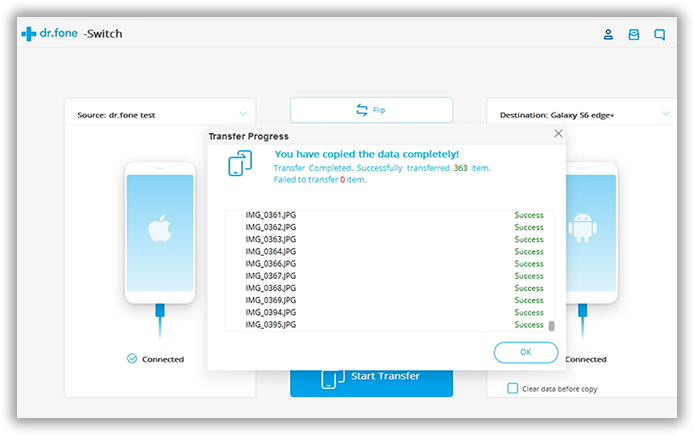 Then click Start Transfer button on the bottom to begin the copying process. To be honest, I have tried a bunch of other alternatives for the same purpose. But this one is the best among them because of its usability and functions. 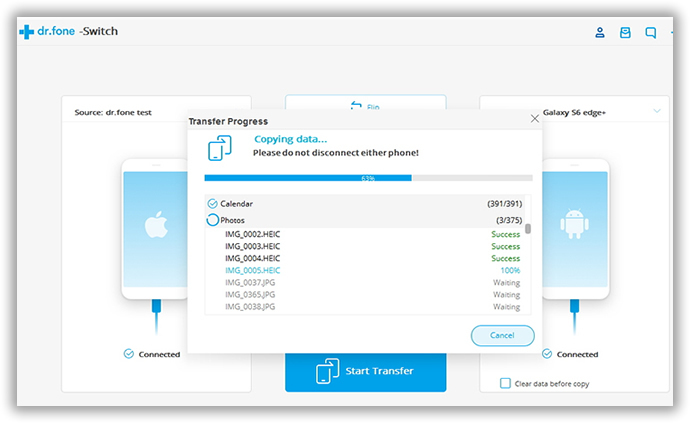 Beside contacts transfer, this Phone to Phone Transfer is also capable for data backup. 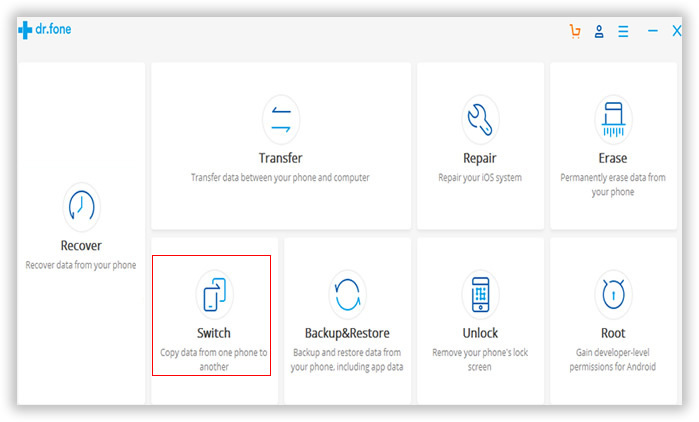 What's more, it's pretty easy to help you restore files from ex-backups. Personally, I think this program is a must-have for everyone who owns an smartphone, no matter it's an android phone or iPhone.